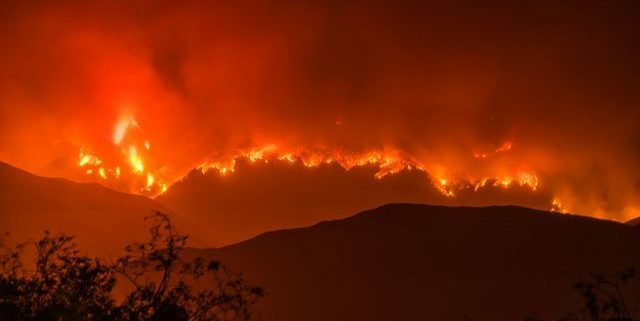 “Even more fires could be in store for the future as human activity continues to drive climate change,” said UCLA professor Glen MacDonald. This month’s wildfires in Northern California have been the deadliest in United States history, with more than 40 deaths, hundreds still missing and widespread mandatory evacuations. One of the conditions that contributed to the enormous fires was the growing variation in climate and rainfall from year to year — a trend that could portend more and larger wildfires for the foreseeable future. 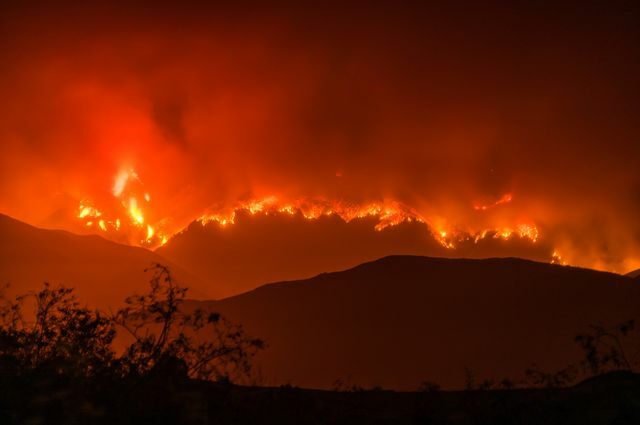 “Even more fires could be in store for the future as human activity continues to drive climate change,” said Glen MacDonald, a UCLA distinguished professor of geography and of ecology and evolutionary biology. UCLA-led research, published Oct. 16 in PLOS One, finds that the American Southwest is experiencing an unprecedented climate state in which the variations in temperature and climate have been magnified. Fine fuels are annual grasses and other plant material that dry, which can enable wildfires to ignite and spread quickly. The study showed that from 950 to 1400, a period known as the “medieval climate anomaly,” arid and warm conditions with stable weather — conditions now known as La Niña — were the norm. From 1400 to 1850, the “little ice age” was characterized by wide variations in climate, with cold and wet weather patterns and fluctuation between cold and warm equatorial ocean temperatures. Those warm phases are now known as El Niño. Today, fluctuation between La Niña and El Niño is called the El Niño Southern Oscillation, and the conditions it causes affect agriculture and air quality, and cause both greater rainfall and more serious drought in the Southwest U.S. — amplifying the risk for wildfires and affecting how cities and regions need to manage their collection and distribution of water. “Analyzing La Niña and El Niño events can be useful for developing future water-resource management and drought and flood hazard mitigation strategies in the Southwest,” said Julie Loisel, an assistant professor at Texas A&M University who led the study while she was a UCLA postdoctoral researcher. To understand how weather patterns behaved centuries ago, the researchers examined the rings of trees such as limber pines and bristlecone pines, which are the oldest living organisms on Earth. Some bristlecones have been alive since the construction of Egypt’s Great Pyramid more than 4,500 years ago. Because tree rings are sensitive to soil water and moisture availability, they give scientists visual information about precipitation, evaporation and other temperature patterns. In times of drought, trees grow less and rings are slimmer. In wet years, more growth is visible. “They are a wonderful archive of climate history,” MacDonald said. The difference today is that climate change is turning up the heat, affecting processes like ocean temperatures, evaporation, and snowmelt in the mountains. With so many variables in play, MacDonald said, we’re headed into uncharted territory.